This is a student-organised event, scheduled to take place in the week starting Mon 04 September. Planned, led and run by DTP students, this event includes student talks and posters, workshops on public engagement and meetings with potential Associate partners. In 2016, as our first cohort came towards the end of their second year of study, we held our first summer workshop, which the students decided to organise using a conference format. This offered students an opportunity to present their research to a broad audience, practise their speaking and poster presentation skills and network with other students, academics and industry experts. The student organising committee gained an invaluable change to develop team work and organisation skills, and get experience of the process of organising a conference. 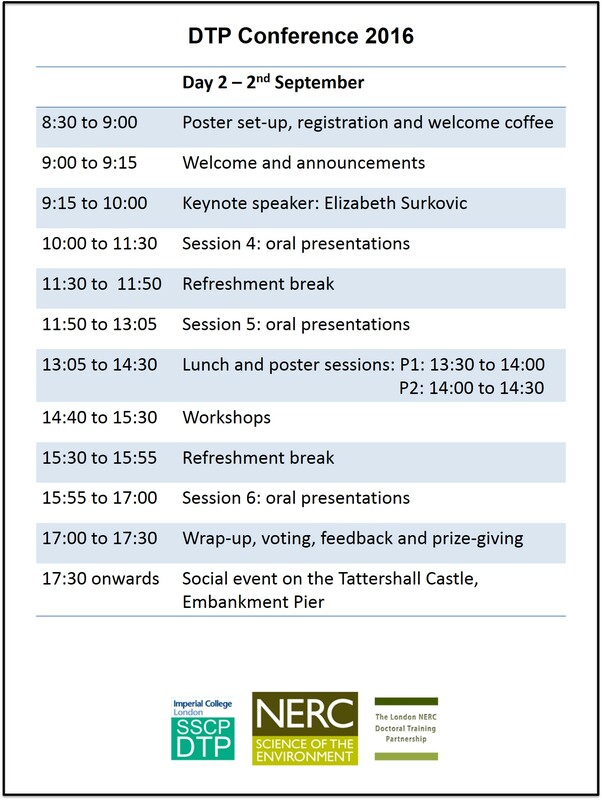 In 2016, the London NERC DTP students teamed up with students from the Imperial SSCP DTP to organise a Joint Student Conference, titled ‘Perspectives on Environmental Change‘, at Kings College London on the 1st and 2nd September. 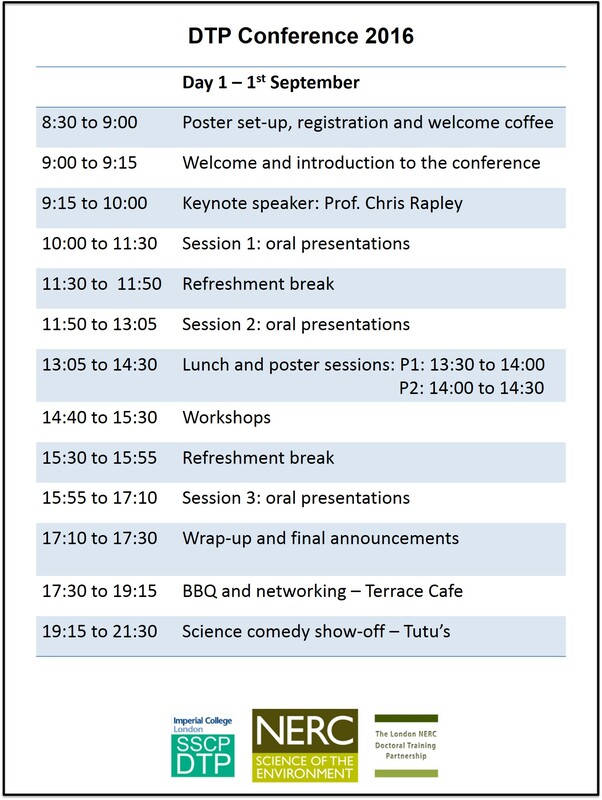 The two-day programme included student talks from over 35 students across the two DTPs, along with Keynote speakers Professor Chris Rapley and Elizabeth Surkovic, workshops and a panel discussion, as well as two poster sessions featuring 60 posters. The Joint Summer Conference took place at Kings College London in September. Image by Daniel Hdidouan.